I'd like to help you to learn and understand the first basic information about this topic. For this I made a short video for you! Here I show you, how a piano system looks like. It's important to know that a staff consists of 5 lines and 4 spaces between these lines. The notes can be placed on the lines as well as in the spaces. But to know how the notes on our staff are called, we need to have a clef in front, that defines them. The clef on the upper staff is for the right hand and it's called G-clef or violin clef. On the staff below we have the F-clef, also called bass clef, for the left hand. These are the most important ones. And with the help of these clefs we know now all names of the notes on the staff. Now you can start to try playing a song by reading sheets 🙂 You'll see in the first place it's a matter of exercise. But if you're looking for your first piano lesson without sheets, then this tutorial is just right for you: How to play piano for beginners. 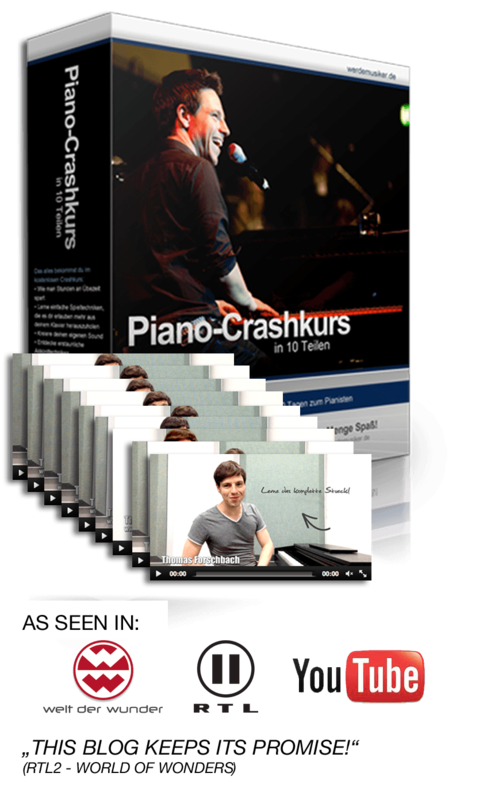 And here I've 10 more piano lessons for beginners. Have fun and don't hesitate to write me all your questions and remarks.